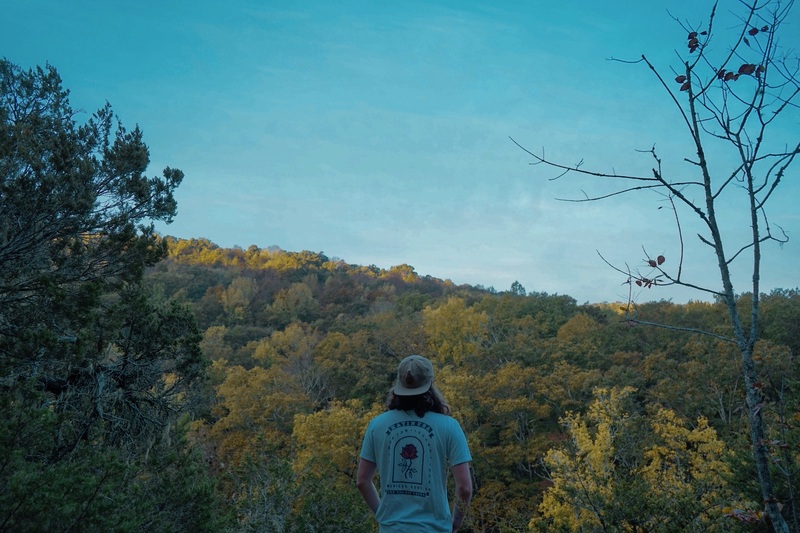 Brimming with intimate emotion and alt-folk passion, Estes’ debut ‘July’ EP is not a record about breakup, but rather one of renewal and growth as Andrew Isbell finds his voice beyond The Band CAMINO. Life doesn’t have a reset button; we can’t take back the past, but we do have control over the future. We can change course and alter our direction, and in doing so, achieve some semblance of starting over – reset button, or no reset button. For Andrew Isbell, founder and former drummer for acclaimed emerging Memphis outfit The Band CAMINO (whose Heaven EP premiered on Atwood Magazine last June), this week – or, this month – marks a major transition as his solo artistry is fully realized for the very first time. Today, Atwood Magazine is proud to reintroduce Andrew Isbell as Estes, as we premiere his debut EP July (independently out everywhere this Friday, July 6, 2018)! The new musical project finds a home in heavy alternative and folk energies that explore our human depths through an intense musical microscope. While we could easily categorize Estes as a singer/songwriter and file all his songs under that header, this music is so much more than that: Much of it, in fact, bears melodic similarities to the alt-rock and pop licks of his former band, though the likeness pretty much ends there. Estes coats his music with warm guitars, plaintive pianos, and emotive vocals; through careful consideration of atmosphere and content, he develops slow, brooding songs that find the solo artist taking advantage of his newfound freedom, doing what he wants to do, just how he wants to do it. “I had a whole lot I needed to get off my chest after quitting CAMINO,” Isbell reflects. “It took a lot of time and experimenting, but I’m really happy about the outcome.” July marks the one-year anniversary of Isbell’s surprise departure from The Band CAMINO. I really hope this album can be somebody’s soundtrack while they figure it out for themselves. Heart-wrenching and bittersweet, yet ultimately full of life and light in the face of the future, Estes’ debut EP is a powerful soundtrack to the month to come. You will smile and frown this July; you will hug and kiss your family and friends, you will cry and laugh, and you will love as much as your heart allows. July may surprise you; it may pass you by in a flash; but for Andrew Isbell and Estes, this July marks the beginning of a brand new chapter – one we at Atwood Magazine are honored to be heralding today. The page turns, and July begins. Listen to Estes’ debut EP exclusively on Atwood Magazine, and everywhere else this Friday!